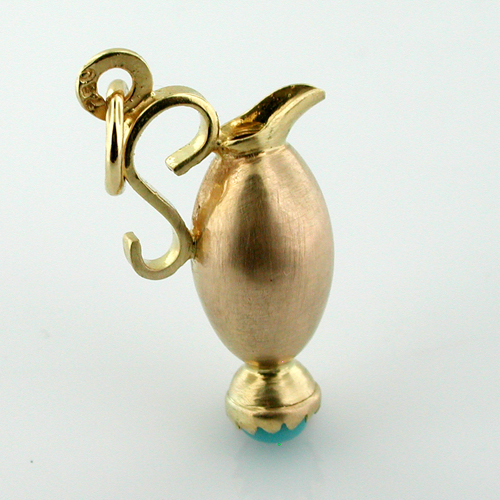 This is a vintage 18K gold Pitcher charm. 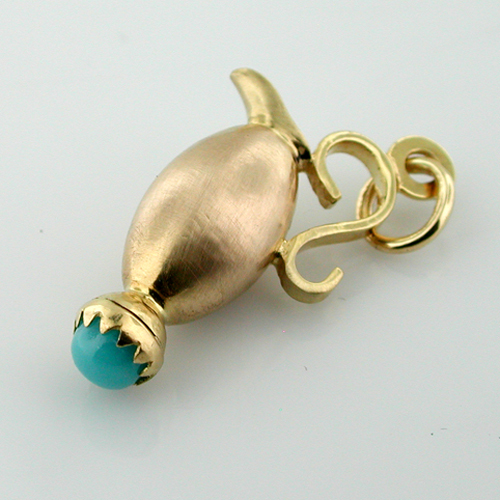 The bottom enhanced by 4.5mm turquoise cabochon. 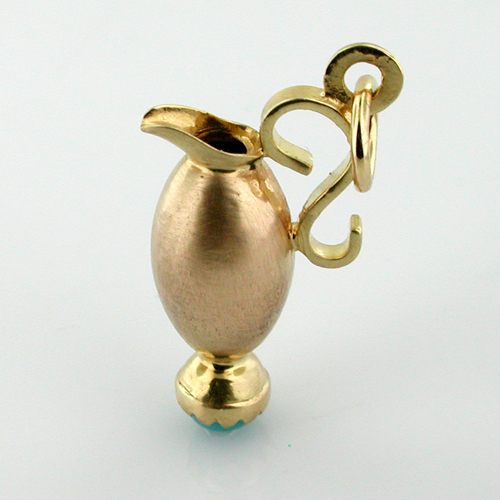 Measuring 7/8" x 9/16" x 5/16" (22mm x 14mm x 8mm). 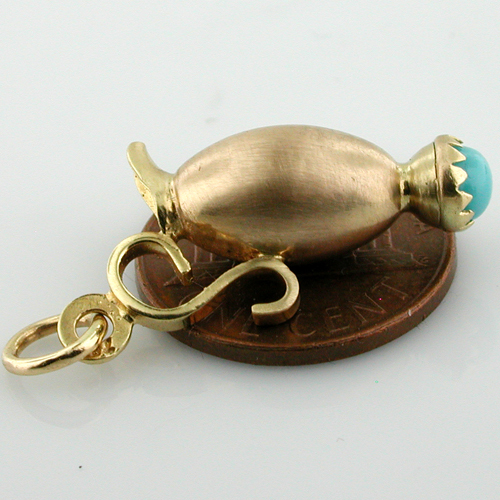 Total weight of the charm is 2.2 grams. 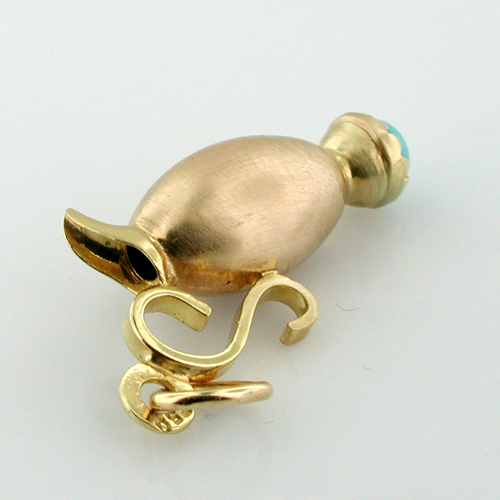 Marked 750, tested and guaranteed to be 18k gold. It is in great vintage condition.